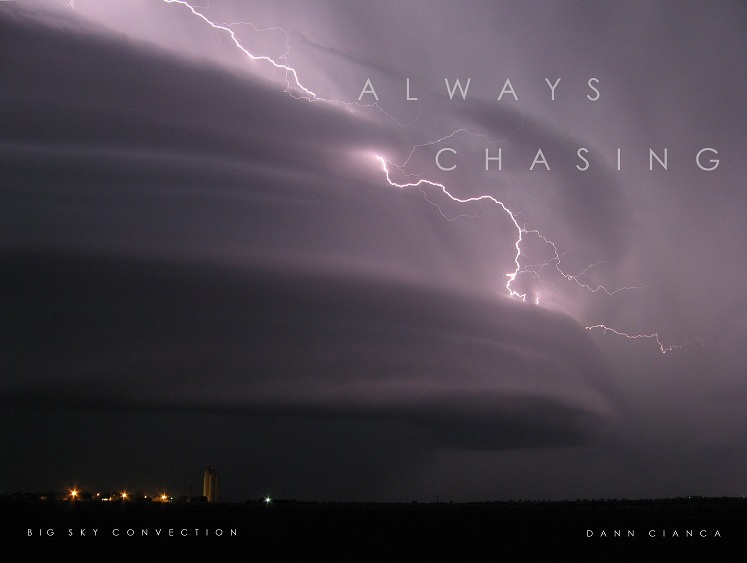 Okay, so it looks like I'll be out chasing today with Michael Carlson and Ryan Shepard (blogs linked at the side). This is a real marginal day, but given the time of year, and my itch to get out one more time, I'm optimistic. I believe today will be a hail and shelf day. I don't think we'll see anything huge, hail-wise, but I'm hoping for some quarter-sized stones. Given the dynamically driven nature of today's event, I'm also hoping to see a good squall line with shelf cloud. These are my goals. A tornado would be a complete surprise to me. Though we have not decided on a target yet, I believe that as far as proximity and availability of desired severe factors, Lamar would be my target. 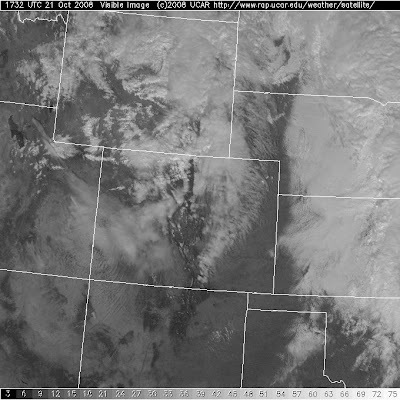 We can see a surface front along the Colorado-Wyoming border, a low in South Dakota, evidence of lee-side troughing (which will be our dynamic feature today) in eastern Colorado. The westerly winds in southern Colorado lead me to believe we will have a moisture discontinuity setting up eventually as the system kicks through. Both wrf and ruc show Theta-E "punches"
Instability is good enough with the forcing in place, but the inhibition gets stronger as you head into Kansas. ... thought that cloud shield will move through the south today. We already have a bit of convection up north (Sterling-area), but those high clouds and cooler temps worry me, even with the forcing coming through. Quick updates on Facebook today. Got'a go!